How do you turn a situation into success? If there are hurdles in writing your book, do you just give up or does it become an opportunity to grow? 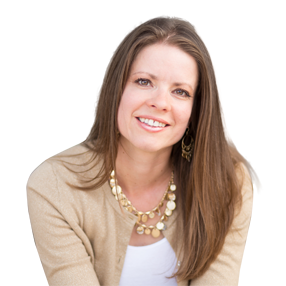 In this episode, Erika Grace, as she introduces her book, Turning Situation into Success and how she was able to finish writing this book, despite the different obstacles she had to overcome throughout her writing journey. 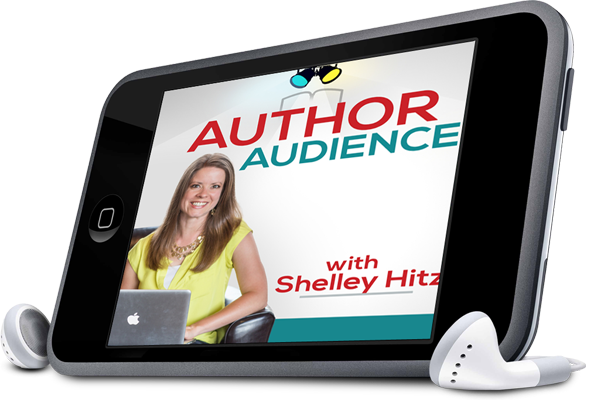 Shelley: Today I’m rolling out the red carpet and inviting you into my community for a behind the scenes look at what’s working for authors just like you. So, in this episode, I’m going to position the spotlight on one of my members, Erica Grace. Erica: Thank you so much for having me Shelley, I’m so honored to be here. Shelley: I’m just thrilled to have you on the podcast. Before we dive into the podcast, I want to introduce you to our listeners. Erica is a full-time financial manager who felt a calling to further make a difference. She decided to write a book to help young readers in the hospital who are overcoming obstacles. And she’s excited to get this message out. It’s a very niche audience – for kids that are going through things and in the hospital. Erica is a newlywed living in Arizona, originally from Cape Cod Massachusetts. She enjoys spending time with her family and friends. You can find out more at her brand-new website, right Erica? Erica: Yes. It’s so exciting. Shelley: The website is GreatLikeYou.com, brand new. I’m so excited for all that you’re doing. In this episode, Erica is going to talk a little bit about her experience going through our 90-day publishing challenge. 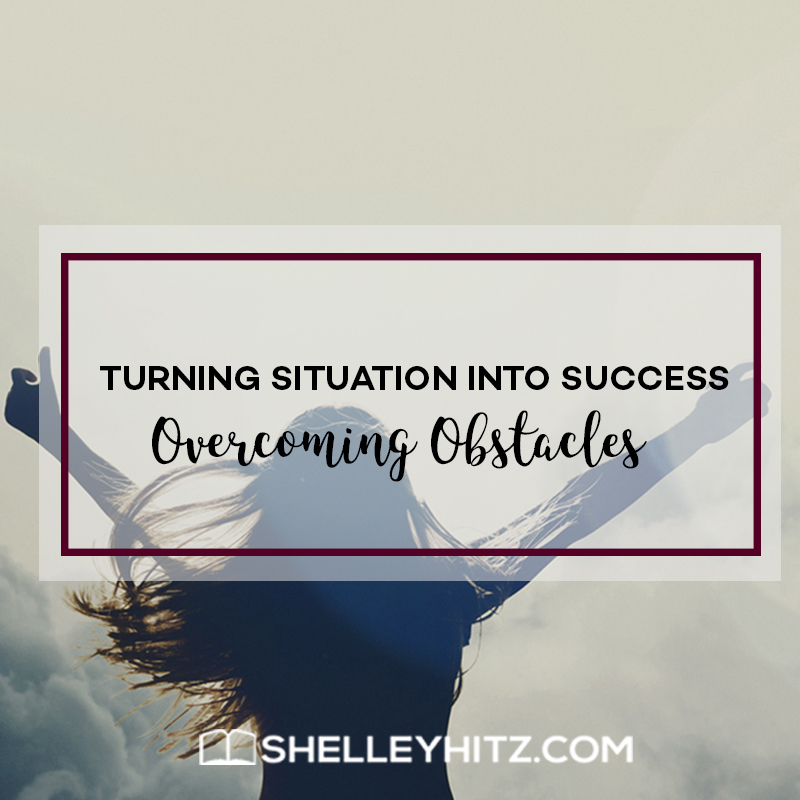 She titled it Turning Situation into Success -Overcoming Obstacles. So as we get started, just share a little bit about what book you chose to use and to write in this publishing challenge. Also, share what your journey has been thus far. Erica: Sure. Thank you so much. So, I originally found Shelley through her podcasts. Erica: Then, I started following on everything. On Facebook, I learned about Author Audience Academy and the 90-day publishing challenge. When she did the Facebook Live about the 90-day publishing challenge, I was hooked. I dove right in and was like, “This sounds perfect for me”. It was just in March that I started writing. So, I’m a very busy person in the corporate world, and I just felt this calling within me. I want to help people on a different level as well while I continue my corporate journey and helping financial lives. I also want to help in the mindset and health realm from experiences that I’ve had when I was growing up, and I wanted to help influence others. So, when I saw Shelley’s Facebook Live about the 90-day challenge, I just knew I had to be part of it. When I stopped and thought about it, I wanted my book to be enhanced. I want it to be ready for that crucial holiday season which can be hard for people that are going through especially tough times. 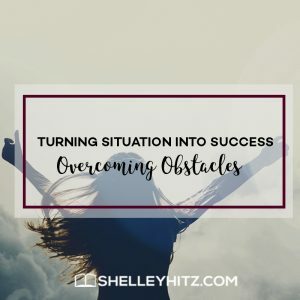 I wanted them to have this tool to help them, and I knew that by following Shelley, I would be able to reach that finish line and get it there. Erica: Yes! So, I really dove right in and I learned so much. It’s incredible. I’m just very grateful for Shelley and for the community in the private Facebook group. The questions that I’ve had answered by community members and peers; it’s just incredible. Shelley: It’s been fun to watch your journey because you’ve been very active, and definitely taking action. That’s always the most fun for me – watching people put it to action. So, tell us a little bit about what is the title with your book. You had an obstacle with that along the way, right? Erica: I did! Yes. So, my new title and my cover are finalized. My new locked-in title is Great Like You. I do have a subtitle to go into more detail – Turning Situation into Success in the Hospital or through an Obstacle. Early on, I had a different title that I was attached to, as I did reference to it throughout the book. And it was very attention-grabbing. Shelley’s group helped me to realize that there were huge copyright and trademark issues with the title that I had. I’m a very safe and very cautious person, so I did do research beforehand. But I just didn’t get as specific as I needed to be. Author Audience helped me uncover what would have been a huge, major issue had I kept the title. You were able to get the help and take some time. I remember it took you some time to wrap your mind around a different title. But now you have your title and you have your cover. 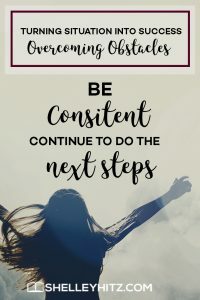 So what other steps are you taking now for your book? Erica: What I’ve done during the challenge was, I broke up the modules into a manageable weekly accomplishment that I wanted to do. I divided it into which ones I wanted to get through and which ones I wanted more research on. Then on, each day I spent at least ten minutes on my book working on it. So, I’m at a point right now where my book is coming out on December 12th. Erica: Thank you so much! So, it’s being formatted now. I’m going back and forth a little bit with the formatting, and a little bit deeper into the editing right now as well. The cover is finalized, the website launched, and I started ordering marketing materials. And today, I booked my launch day venue, so I’m very grateful for that. Shelley: What are you going to do for your launch day? Erica: The local fitness studio here that I have in town agreed to allow me to do launch day there. So, I’ll be meeting a lot of the community members that I know of that would be able to help me get my book into the right hands and spread the word. This fitness studio is very active in the community and with health issues and especially focusing on children’s causes. Shelley: Yeah, and I really like that because I talk about this. A lot of authors want to go national or worldwide, but the best place to start is your own community. People love to support local authors, support what you’re doing, and get behind that. Then, they may have connections in other towns, other states, and other places. For instance, for your book, you can get connections in the hospital and then maybe they have connections in other hospitals. It can be a ripple effect. I love how you’re starting right where you’re at, right in your community, and garnering that support right from the very beginning. That’s really smart and strategic, and I love that you’re doing that. Shelley: So, you’re getting ready for your launch. What kind of partners or people are you thinking of connecting with? This book is a very specific niche, it’s specific for kids in the hospital or overcoming obstacles, do you have any thoughts on that yet? Erika: Yeah! I’ve talked to some people in the medical fields. I plan to stay in touch with that. Back home, from where I’m originally from, there is a very large charity event for childhood cancer in the summer there. I plan to bring my book there and help raise awareness. I want to help as many people as I can and just keep spreading the word through my community for sure. I really appreciate all the connections I’ve been making. I had started my Facebook and Instagram for the book and having that slow but steady ripple effect of everyone kind of telling people that they know that they feel could be impacted by it as well. So, it’s been really beautiful. Shelley: Yeah. And I think that sometimes what happens is as you take a step and as you connect with an organization or audience, something else may open up. I think that’s great. I think that is a great opportunity working with that organization that’s for childhood cancer. Then, maybe you’ll meet a connection there, or someone else who will refer you to someone else. There’s really a lot of opportunities. I think for those authors listening, what’s really great is to look for those audiences that already have your target audience in them. It could be those places that already have your target audience. Ask questions like how can you partner together? How can it be a win-win for both of you? Look for those different opportunities and partnerships, whether it’s to be featured on a podcast, on a blog, or to speak somewhere. For children’s books, you can also do readings. There are so many different things for you with the medical field, the options could really be limitless as you move forward. This will be your first book, right? 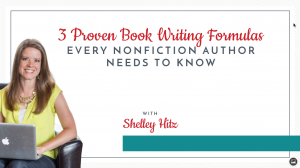 Shelley: So, you’ll be able to add published author to your bio soon; that’s fun! Do you plan on more books, or are you just kind of going to see how this one goes? Erika: So, I’m going to see how this one goes. It’s definitely my baby, so I’ll focus first on seeing who it can impact. I did get some feedback, as well, from some of the beta readers. They said that it could have a strong impact on children that are going through the foster system as well. I had a couple different beta readers come back with that feedback, so that was really interesting. I think that’s going to help me get that into the right hands. I’m going to be spending a lot of time really just getting this book out there. In the future there definitely are possibilities. This book here is for the audience of ages 10 and up. I really feel that that’s the age group that can grasp the interactive activities that come their way. All the material that’s in the book is around mindset, visualization, goal setting, and other things of that nature. So, the book is for ten and up, at this point, though adults can benefit from it. It can also benefit younger children if they go through it with some help at a slower pace, they would be able to catch on too. Someday, maybe a picture book for the even younger audience, and someday maybe something for the parents as well to support them at this time. Shelley: Yeah, I like that. I think that it’s great to put energy into the marketing side of it. I always say it’s a marathon, not a sprint. 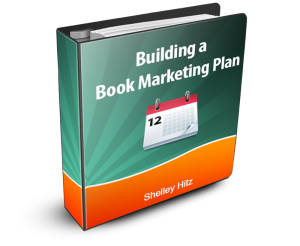 So your book launch is just the beginning, it’s not the end. I think you really have a lot of opportunities with so many different types of connections. I never thought of the foster realm either, that’s a whole other area you could connect in to. And I love that you’re already thinking that way and really just looking for how to market and help as many people as you can. So, you already have a full-time job and a career, how has this been writing this book and doing this passion project on the side? Erika: It’s been fun! It’s really a great experience being able to learn something so new. As I say to my friends and family, one year ago, I never would have imagined that I would be in this spot right now. One year ago, I hadn’t had this idea. So, it’s all been really full steam ahead because my heart is in it and my passion is in it. It’s been so enjoyable to work on each day, and it can be just so rewarding. I can’t wait to just hear some of the feedback you start getting from parents, kids, and that sort of thing. Shelley: Those types of things – the reviews – it makes your day so much. I think it was really smart to do the beta group and get that feedback. You’ve been taking all the steps and doing the right things. So, I’m really excited to see where all of this takes you. Now, as we wind down the interview, do you have a take action tip for writers or authors that are listening right now? Take Action Tip: Just Go for It! Erika: Definitely. So, my take action tip is to go for it. Erika: You have a story to tell, don’t let anything stop you. Self-doubt and things like that will creep in. I am not an English major, I’m a business major, and just never thought I’d be in these shoes. So, I had to quiet down those voices quite often. But the important thing is, think of the people that you’ll be helping when you get your message out. That’s going to just really accelerate you and drive you to get this done. For me, knowing that the holidays were coming, and this could help make someone’s holiday easier and brighter really just drove me to buckle down and get it done. Shelley: Yeah, I love that. Just picturing your target audience, the person that you can help, really does help you to go for it. There are a lot of mindset issues. Even for me now, after having published so many books, I still face it. We still face the resistance. But we can take one step at a time and do it afraid. 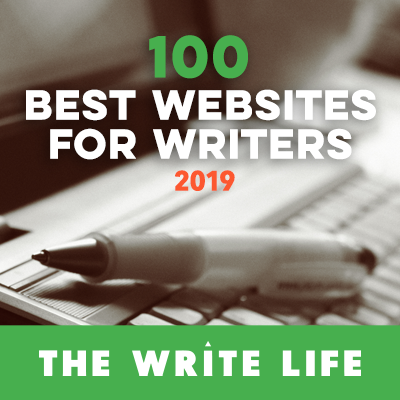 But when you’re in a community, you have that encouragement, the help, and the feedback, and that can be really helpful; just like the community, we have in Author Audience Academy. So, if somebody has been inspired by your message, would love to connect with you, get your book for their child or someone they know, or maybe they have a connection that would be great for you, how would they connect with you or reach out to you? Erika: So, the best way is my new website; it’s GreatLikeYou.com. I do also have Facebook, Great Like You, and Instagram @GreatLikeYouBook. Shelley: Awesome, I love that. I think it’s going to be fun watching you take these next steps. I want to remind all the listeners too. Erica said earlier in this interview, she’s just worked at least 10 minutes a day. 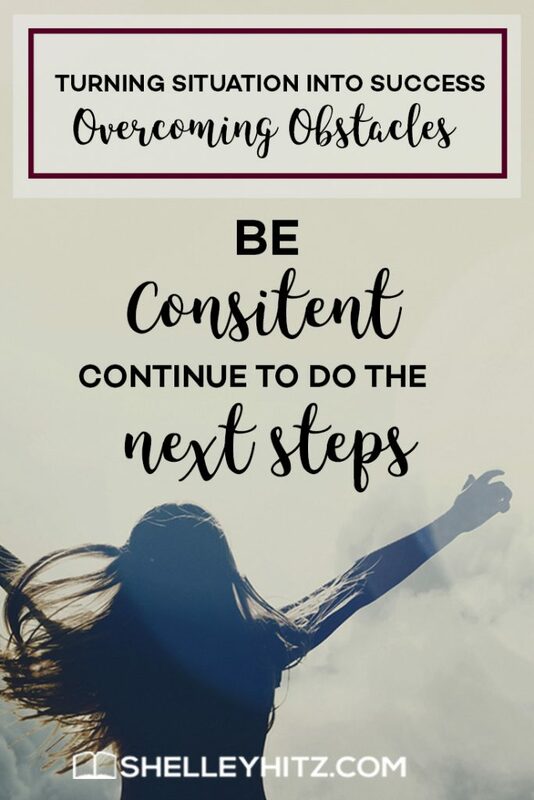 So it’s that consistent action over time of just continuing to do the next step that has got her to the point she is today. She’s getting ready to launch her book to the world and help many people. So, congratulations Erica, I’m so proud of you. Erika: Thank you so much, I really appreciate it. Thanks to all of you for tuning in. I hope that this interview has inspired you and given you some ideas. I hope that you will take the next step towards realizing your dreams and helping those that you can help with your message. Again, my name is Shelley Hitz, and I will see you next time.